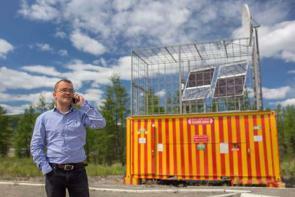 SFC Energy AG has received a fuel cell order by Russian partner Stabcom Energy. In hybrid operation with solar, SFC Energy’s EFOY Pro fuel cells will deliver power to telecommunication and emergency cabins along the 311 km Kolyma federal highway from Magadan to Yakutsk in the Far East of Russia. “After a long market entry phase, this success with Arbuz and our partner Stabcom clearly demonstrates the perfect suitability and reliability of our EFOY fuel cells as off-grid power source in Russia’s extreme climate and ambient conditions", says Dr. Peter Podesser, CEO of SFC Energy. "Based on our global track record we see a strong medium-term potential in Russia in this market as well as in the oil and gas industry."